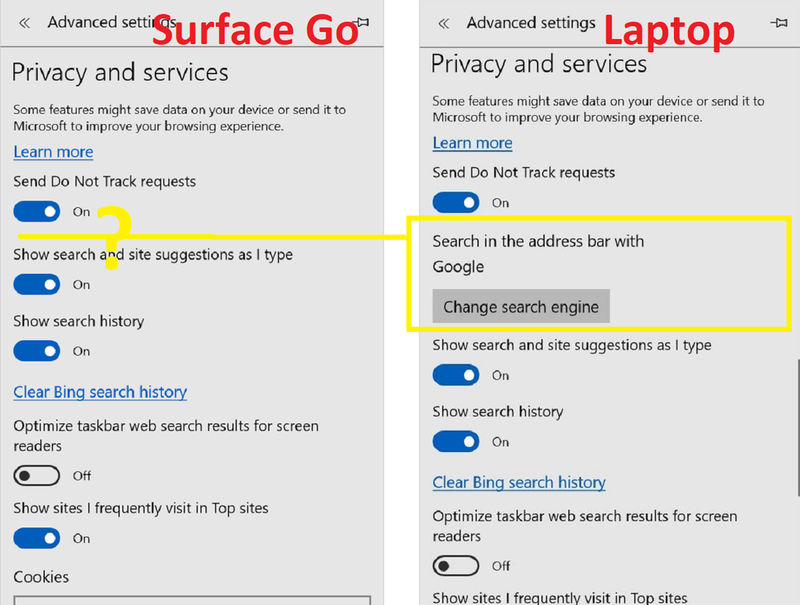 As can be seen in the screenshot below the Edgo on my GO is missing the option to change the search engine. Suggestions how to fix this are very welcome. I visited many search engines and checked the advanced settings menu each time. No changes whatsoever. Are you still in "S" Mode? or have you taken it out? I took mine out of "S" the first day. I believe that I went to the Google search page. then settings, advanced settings and I think that google showed up as "Discovered" and it allowed you to select it as the default search page. Thanks Larry. Seems very plausible that S mode is the culprit. Would like to stay in S mode. I think that one can not go back to S mode without a reinstall. U can't change the search engine provider in S mode..